When road rage arguments move from shouting through the window to getting out of the car and making it physical, then you know it’s serious. You’ve got to be bold to walk though traffic at a massive junction just to cross the road, let alone start a brawl in the middle of the street. 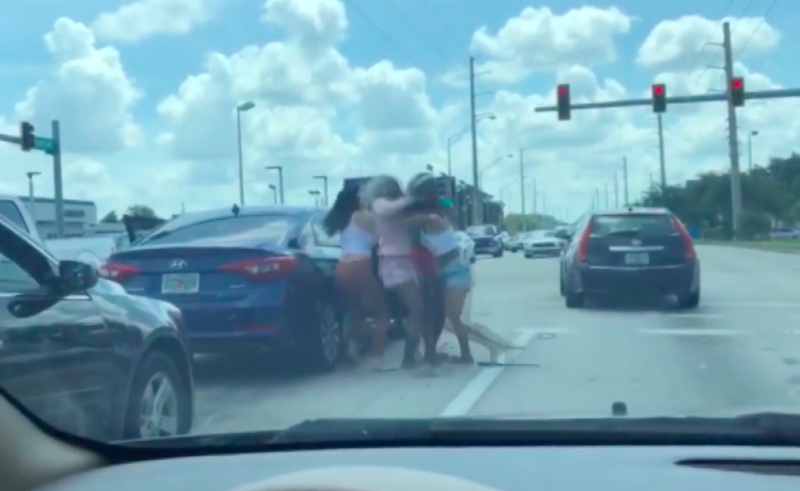 But that’s what two women did in Florida recently when a road rage incident turned very nasty. One of the women even used a baton as a weapon against another driver, while a second woman dragged another person over the road by her hair. 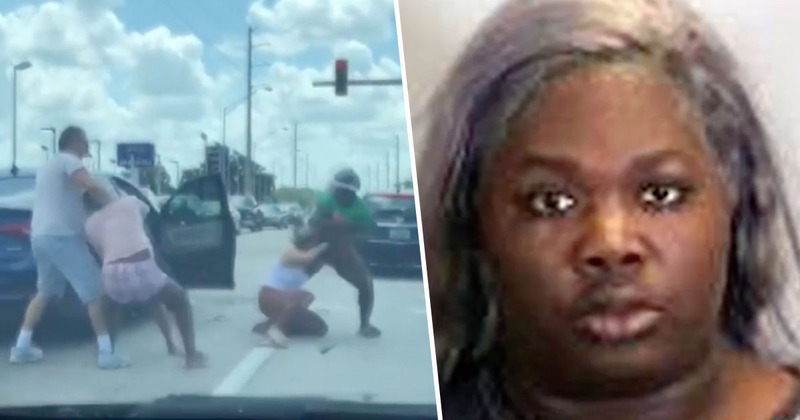 The woman using the baton has been named as Willie Edwards, and can be seen repeatedly striking the passenger of another vehicle. As 24/7 News reports, Rose Alvarez, the driver of the car, can be seen getting out to try to separate the two women. However, a fourth woman, named as Marquavia Jenkins, stops her. As Alvarez continues to try to get past Jenkins, the pair then begin fighting too. The two women fall to the ground before a man comes over to intervene and tries to separate the women. Meanwhile, Edwards continues to fight with the other passenger. By the time police arrived, the fight had broken up. However, two hours later, officers were given another chance to sort out the drama when two women, 22 and 26, presented at a local hospital with non life-threatening injuries. After investigation, 18-year-old Willie Edwards and 21-year-old Marquavia Jenkins were arrested and charged with criminal mischief and aggravated battery.